All have compliance, but none have the truth, which is why there is such a chaos on the road of auspicious wishes. And so the most popular formula is that one should do what they enjoy, that will be auspicious for them. What that is good for you might be a poison for me and what the is good for me might poisonous for you. The human truth is that when you give your best wishes to someone, you give that with your own point of view. Though one should give what the other truly wishes for. A knowledgeable person wants more knowledge, a frat wants more enjoyment.. but then these be won't best wishes, this would be called encouragement. 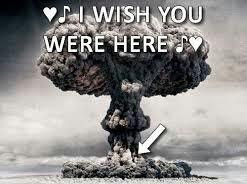 Sometimes giving your best wishes to someone can be a little dangerous. For example, if you say to gimmicky businessman that he may turn truthful and honest or if you say to a scholar that he may become fundamental; they will growl at you. The truth is that we live in an age where no one really cares about auspicious things. We have heard since childhood that man is a social animal; war and riots are bad, but the majority of the US considered the attack on Afghanistan and Iraq auspicious. There is an organization in our too, that believes that the more Hindus cause riots, the more bright India's future will become. As far as terrorists are concerned, they are brought to be used like the goats that are killed on Bakri Eid. Oh I am sorry, made a mistake because of the idiom of giving and taking. Goat is a non-violent creature. He doesn't take a life but gives its own. You must have seen that when a goat is taken away, he keeps looking back. Is he giving his best wishes to other goats, "You are lucky that your are still alive, I wish you stay alive"? The biggest problem is that a definite time has been set to wish people and the way to wish (tax message) is also changed. New Year or a festival, birthday or a marriage anniversary, no matter what the day is, a sweet itch starts to build up to wish friends, relatives, especially the coworkers. They should get my best wishes before I get theirs. In the past, greetings were sent through letters. Then came the era of beautiful cards. One could guess the level of the greetings in a Card just by looking at its cost. Those greetings that were average, were thrown away. The grand ones were kept for a long time in the room or under a glass top table. Those people who were not satisfied with the ones in the market, they would get their own cards printed. It is not that they were interested in it, but it was a sign of prosperity. This is the era of text messages. Cards have printed messages, you only have to write your name and the name of the person you have to send it to. But in text messages, you only have to copy paste the message and hit send. The second thing is that no one gets any special different greeting. One needs to learn the art of writing for it, and nobody wants to bother to learn that. Plus these days education does not count, literary does. It is quite possible that you might get the same message from ten people. And then a doubt builds up, whose wish is true and whose is not. There is no such thing left as originality. Millions of people have read the same thing. These days nothing is private and personal. Humans can not just live by eat or drinking air. Similarly, what happens with just good wishes? Fancy sentences are even found in religious books. You sent a colorful card or a bouquet, what happens with that? 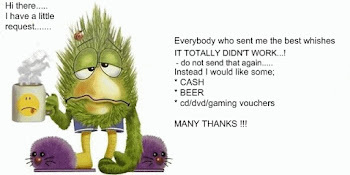 At least send something else with it so that you might look like a true well wisher. There is a tradition to send some goods with the greetings, such as fruits, dry fruit, wine, expensive watches, music systems and expensive phone etc. Scholars believe that the status does not determine the level of greetings, in fact, a person's status is measured by what they got with the greetings. It is not intended to twist the things to make a point, so at the end I would like to part away by saying that giving and receiving greetings is purely a business of one class. The one that sends the greetings, tries his best to send it to the upper class. Greeting cards are like ATM cards. You will only get the money you have given. Same way, the greeting cards and the goodies sent with are future investments. 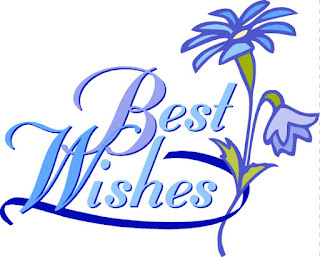 Who sends best wishes to those who have neither a future and nor present. But wait, you thought wrong. In a democracy these poor, deprived and disadvantaged people are the ones to decide the breakthrough. Every government stands on their votes. Take my sense-sprinkling best wishes and walk around with the 'Pride' that you are part of world's largest democracy.